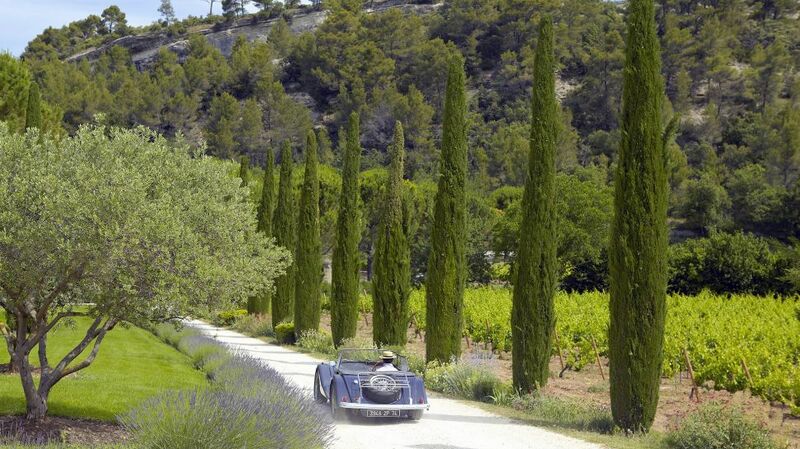 Today I'm inspired by the stunning natural beauty of Provence. When it comes to planning a vacation there's the push-pull decision of whether you're looking for a thrilling destination or a serene escape from the norm. I tend to think that even in bucolic settings the soul itself experiences scintillating new cultural discoveries and the senses are put on overload experiencing the new visual input, sounds and smells. In short, even a relaxing vacation invigorates body, mind and soul. That's where La Bastide de Marie comes in to play. Situated on 60 acres of rolling vineyard and gardens, this 18th-century Provençal farmhouse allows your mind to enjoy the simple pleasures in life. Lunch under the sun surrounded by olive and lemon trees. Rooms that are charmingly named - not numbered. Billowing linens lining open windows are blown about by breezes carrying a heady mix of anise, lavender and sage. This, dear friends, is exactly what I crave at the moment. Stunning serenity in a setting so fantastic my eyes can barely believe it exists. I'm already packing my imaginary bags and leaving my modern life behind. If ever there was an Anthropologie moment to be had, this is surely it, right? It is the idyllic setting for their special blend of French boho insouciance, and we can't deny ourselves a trip to Provence without delicate linen dresses and pretty artisan accessories. My "look" as you can see is one of relaxed chic. Pops of shimmer and pomegranate here and there, but overall an understated neutral look to the days. The idea is to let the gorgeous natural setting and your innate personal beauty (which will surely radiate under the veil of sunshine & aromatic breezes) be the star of the show. If, like me, there's no jet on the tarmac to take you off to Provence this month, perhaps infuse a bit of this relaxed attitude into your daily life this month. Let your light shine. Let your beauty come through. Let life be the joy filled experience it should be.